I recently received a NEBO casebrite phone case and flashlight to review. I was pleased to review this product because I had just purchased an iPhone 6s and I needed a case. The fact that this case also had a built in flashlight was a bonus. I own several flashlights and as a Firefighter I use a flashlight every shift. Here is my review of the NEBO CaseBrite phone case with a built in flashlight. 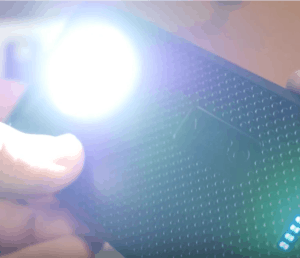 The flashlight offers 200 lumens of LED lighting built into the back of the case. The phone case is good and the Nebo casebrite flashlight is excellent! The flashlight has it owns battery so it doesn't drain your iphone 6s battery. - Durable Protective Case and Flashlight! Overall, I am really impressed with the flashlight and would recommend this NEBO CaseBrite product. I might have to apply a little grip tape to the side of the case to reduce the "slippery" feel. Contact me with any questions and make sure to subscribe and like my video. Thanks!